To apply for WEPC membership, please complete the membership application form and submit payment of your membership dues as indicated below. Click here to access a membership application form that can be completed on your computer. 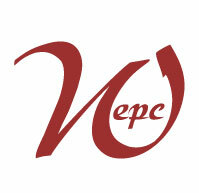 Once you have completed the form, save it to your computer and email it as an attachment to info@wepc.net. By submitting your application, you agree not to use the membership roster as a source for solicitation and not to distribute the information regarding members in the directory. Credit card via PayPal. To pay via credit card, visit our website membership page at www.wepc.net/membership.html and click on the appropriate payment button. Check. To pay via check, send check made payable to WEPC to: WEPC, P.O. Box 460666, Denver, CO, 80246. Please specify your name on the check if the check is in your company's name. If you experience trouble completing the application form, please contact a member of our Membership Committee.